Opposition Leader Bharrat Jagdeo last evening made it clear that for his party the 2018 Local Government Elections are a dress rehearsal for the general elections, when it intends to take back government. “Though these are Local Government Elections…this is about more that City Hall…this is the beginning of the fight to take back our country… you are part of a movement to take back Guyana from the incompetent APNU+AFC,” he declared. 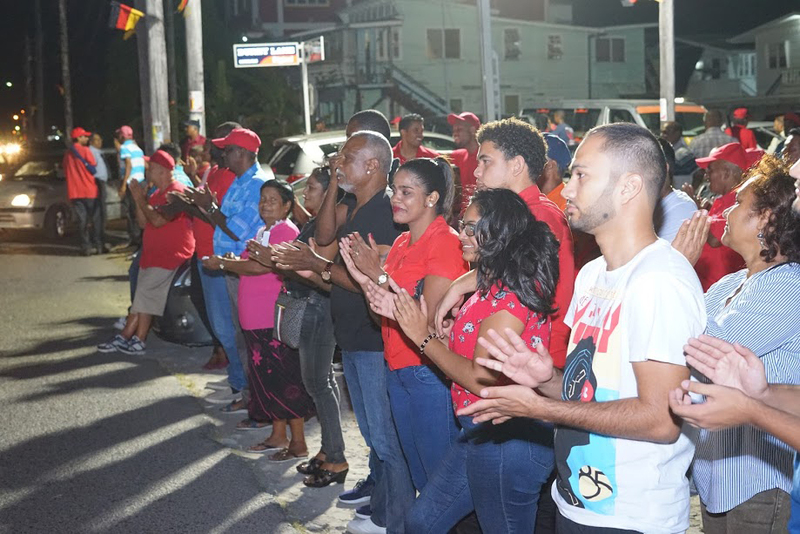 For more than an hour, the opposition leader declared to the modest crowd that the People’s National Congress Reform (PNCR) and A Partnership for National Unity (APNU) do not care for them. He said the Alliance for Changce (AFC), the other member of the governing coalition, is dead. “Even if you vote for them, if you are not of the same class, if you are not part of the elite, then they do not care about you,” Jagdeo said. He argued that President David Granger operated from the “stratosphere,” maintaining an aloofness which prevents him from interacting with residents in the manner he needs to as president. The Former Head of State even went so far as to take credit for the recent agreement between the Ministry of Education and the Guyana Teachers’ Union, which was brokered by Granger. He accused government of having spent a trillion dollars without realising any positive improvements in the job market, infrastructure, healthcare or education. “Three years is enough,” he declared, while imploring voters to remove the APNU+AFC not just from City Hall but also from Central Government.